Recent History: Stone Mountain Museum Antique Car and Treasure Museum sold to Hyman Limited of Missouri brokerage house in 2008. This car has since been sold to Bernhard Beck of Germany. Per Myles Twete:1955: Was owned by Dr. Charles R. Adams of Atlanta, Georgia. Was listed for sale in v17#5 (October 1955), page 51, as follows: "1920 Milburn Light Electric. Complete with batteries and charger. Excellent shape. Spotless interior. New tires. Runs good. Sell $1500 or trade for 'desirable classic'. Dr. Charles R. Adams, Jr., 1425 Adams Dr., Atlanta, Georgia. 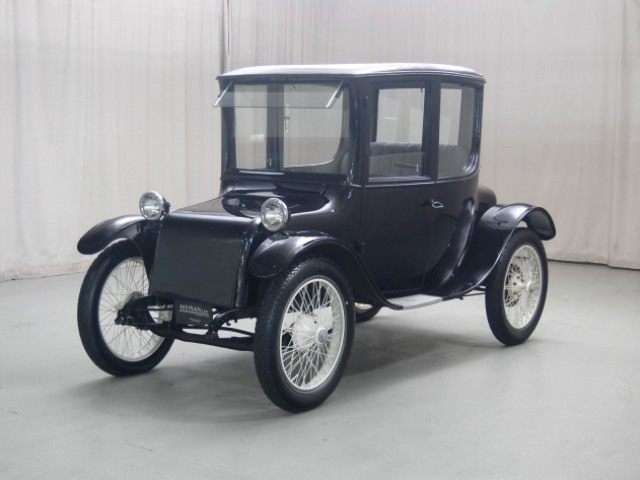 "1957: Listed in 1957 Antique Car Registry as 1920, 4p Coupe #214167 owned by Dr. Charles R. Adams, Jr."